The supertested VK 45.03 (tier 7 heavy tank) was a prototype heavy tank that resulted from a plan to improve the existing Tiger I into the Tiger II, also known as Königstiger. In short, it was, in principle, a further development of two previous projects from the VK 45.0x series. The Henschel und Sohn company soon started to work on the tank by combining the VK 45.03 project with the Panther to create the next evolution of both tanks, sharing similar aspects in a combined project, which would result in new tanks as Tiger II and the Panther II. 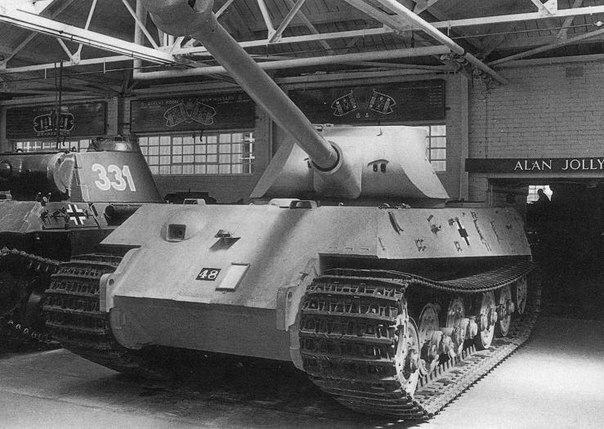 The early model of the VK 45.03 was pretty much an enlarged Panther model, but it was changed after Hitler issued a further armor increase: 150 mm frontal armor and 80 mm side armor. Soon after the Panther II project was ceased due to the urgent task of expanding production of the original Panther tank, they were now focused entirely on the Tiger II development. The VK 45.03, alongside the original Panther tank. The turret is similar, if not exactly the same as the one from the early Tiger II tank, the so called “Porsche turret”, although it is lacking a cupola on top.